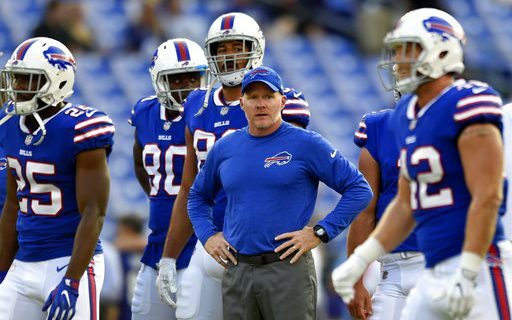 Sean McDermott is celebrating a big Bills win against the Jets. But it still has been a disappointing second season for the Buffalo head coach. Sports humorist Jeff Wozer has uncovered McDermott’s top recurring nightmares. Family Feud asks contestants to “Name things that are boring” and number one on the list is the Bills offense. Bills go into the 7th round of the 2019 NFL draft without drafting a cornerback. He waves to the Bills fan dressed as Elvis but he doesn’t wave back. His sideline Microsoft Surface tablet plays nothing but a constant loop of Russell Salvatore TV ads. He gets into an argument over a parking spot with Alec Baldwin. He’s standing on the rim of the Grand Canyon and asks Nate Peterman to toss him his car keys. Moe’s Hot Player of the game Zach Bogosian scores a goal and he forgets to take advantage of the next-day discount. By seasons end forced to use Monster.com to find a quarterback.